The Bayeux Tapestry is an embroidered cloth nearly 70 meters (230 ft) long and 50 centimetres (20 in) tall, which depicts the events leading up to the Norman conquest of England concerning William, Duke of Normandy, and Harold, Earl of Wessex, later King of England, and culminating in the Battle of Hastings. The Bayeux tapestry consists of some fifty scenes with Latin tituli, all embroidered on linen with colored woollen yarns. It is said that it is likely that it was commissioned by Bishop Odo, William’s half-brother, and made in England – not Bayeux – in the 1070s. In 1729 the hanging was rediscovered by scholars at a time when it was being displayed annually in Bayeux Cathedral. The tapestry is now exhibited at the Musée de la Tapisserie de Bayeux in Bayeux, Normandy, France. Mythologies around the world speak of beings which cannot be defined as good or evil. German folklore mentions a household elemental called kobold. Even though he can be helpful, as a trickster, he can make mischief and play pranks on the members of his household. He can hide tools and other objects and he may push over the people who live in the house causing them to fall. On the other hand, he can also help with household chores, provide help in finding lost objects and, sometimes, he even is said to sing to the children. Apart from the household kobold, there is another type of kobold which legends say resides in caves and mines and haunts them. In 1657, metallurgist Georg Landmann published a study entitled “De Animantibus Subterraneis” in which he explained that the belief in these kobolds dates back to at least the 13th century, but older accounts of similar spirits also existed in Ancient Greece where the mischievous entity was referred to as a “kobalos”. All these examples discussed here are but a few out of the numerous types of tricksters appearing in mythologies, folklore and stories of the world. From fairy tale characters like Reynard the Fox or Rumpelstiltskin, including jinn, elementals and trickster spirits, mischievous entities play an important part in the tales and mythologies to which they belong. Valerie says, “tricksters can be used to teach … and develop discernment.” You can read more about the amoral tricksters here. 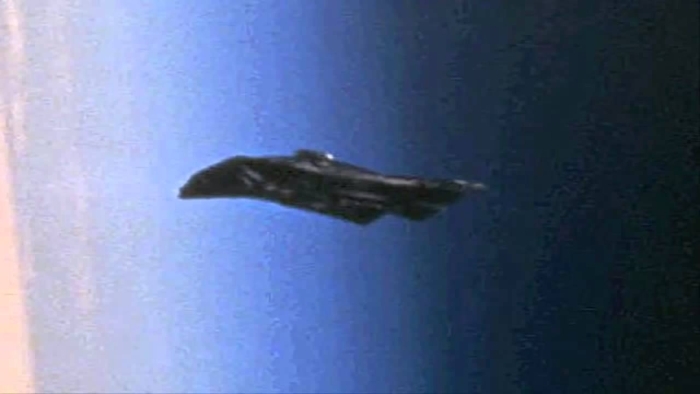 The Black Knight satellite is claimed by some conspiracy theorists to be an object approximately 13,000 years old of extraterrestrial origin orbiting Earth in near-polar orbit. Critics and mainstream academics have called it a conspiracy theory and a myth. Rumours are that it was Nikola Tesla the first man to “intercept” a signal from the Black Knight satellite in 1899 after building a high-voltage radio device in Colorado Springs. Since the 1930’s Astronomers worldwide have been reporting strange radio signals which allegedly come from the “Black Knight”. The story of the Black Knight made its media debut in the 1940’s when the St. Louis Dispatch and The San Francisco Examiner wrote about the “Satellite” on May 14th 1954. In 1957. The United States nor the Russians possessed the technology to maintain a spacecraft in Polar Orbit. In the 1960’s the Black Knight satellite was located once again in Polar Orbit. Astronomers and Scientists calculated the object’s weight to be over 10 tons which would be at that time the Heaviest Artificial Satellite to orbit our Planet. It was the Ham Radio operator who apparently decoded a series of signals received from the UFO Satellite and interpreted it as a star-chart centred on the Epsilon Bootes Star System. You can read more about the Black Knight satellite here. The Yellow Brick Road features in a famous movie, “The Wizard of Oz”. It was so good and so loved that it was replayed every year for several decades. This movie was made at the time when Walt Disney was making the first “Snow White and the Seven Dwarfs”. Wake Up World recently featured an essay on Dorothy and the Yellow Brick Road, set in a modern learning environment. You can read this here. Some time ago, in the Mystery School which Valerie Barrow participates, a question arose about a project to construct a giant Outback Cross atop a hill called Memory Mountain. 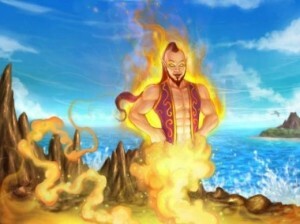 Jalarm the Atlantean responded in the Mystery School that the project had been inspired from the Angelic Realms. The million-dollar, 20-metre-tall illuminated cross project in remote Central Australia is a step closer to reality after a community meeting gave the idea its blessing. 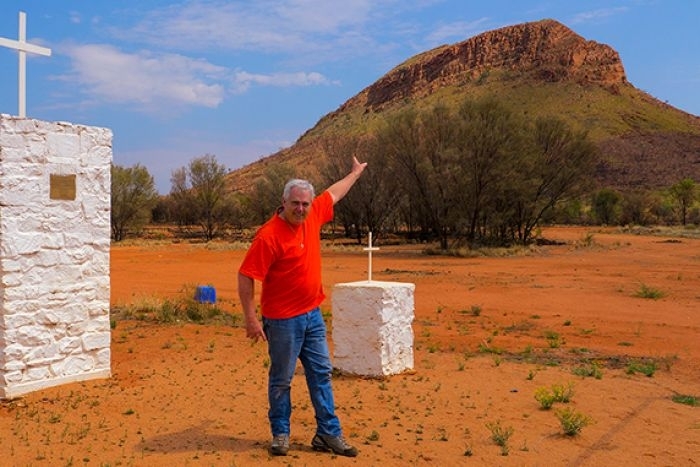 The proposal for building a massive cross on a hill near the remote community of Haasts Bluff, or Ikuntji, 230 kilometres west of Alice Springs, is being driven by New South Wales photographer Ken Duncan. On his website, Mr Duncan said he first heard of the idea when three community leaders spoke to him of their “vision to build a cross on top of Memory Mountain” in 2009. On Thursday (24 March) Haasts Bluff community leader and traditional owner Douglas Multa said there had been some misinformation and confusion during two earlier meetings, but as of last week there was no opposition to the plans. “Everyone seems to be on the track … everything is ready to go ahead … there is excitement and relief around the community, meeting after meeting and it has been solved,” Mr Multa said. “Members of the community had a vision about the cross, then one day we approached Ken and said ‘mate, is it possible to put up a cross up here’? And he said ‘yep, it is possible’,” Mr Multa said. Mr Multa, who along with his sister Alison Multa first invited Mr Duncan to join them at Haasts Bluff for an Easter gathering in 2009, said the Lutheran congregation in the community was in support of the cross. Fancy using sound to put a fire out? The fire extinguisher uses low-frequency sound waves to douse a blaze. Engineering seniors Viet Tran and Seth Robertson now hold a preliminary patent application for their potentially revolutionizing device. First viewed here. There was a declining population of Manatees in Florida. Massive improvements in habitat conditions and better threat reduction has taken manatees off the endangered species list. In 1991, only 1,267 West Indian manatees could be found in Florida. Studies have shown that the population has increased about 500 percent since then. There are now 6,300 in Florida and 13,000 overall. You can read more and watch a short video here. We don’t really think about it on a daily basis, but the Earth is still changing all the time. It just happens so slowly that we can’t really perceive it. But every now and then, things speed up … a lot. You can a fascinating narrative in pictures of this miracle escape here. 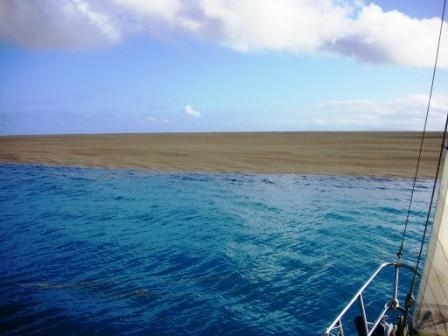 How did the Palm Trees get to Central Australia? The scientific world is stunned by research which backs an Aboriginal legend about how palm trees got to Central Australia. Several years ago Tasmanian ecologist David Bowman did DNA tests on palm seeds from the outback and near Darwin.The results led him to conclude the seeds were carried to the Central Desert by humans up to 30,000 years ago. Professor Bowman read an Aboriginal legend recorded in 1894 by pioneering German anthropologist and missionary Carl Strehlow, which was only recently translated, describing the “gods from the north” bringing the seeds to Palm Valley. “We’re talking about a verbal tradition which had been transmitted through generations possibly for over 7,000, possibly 30,000 years,” he said. 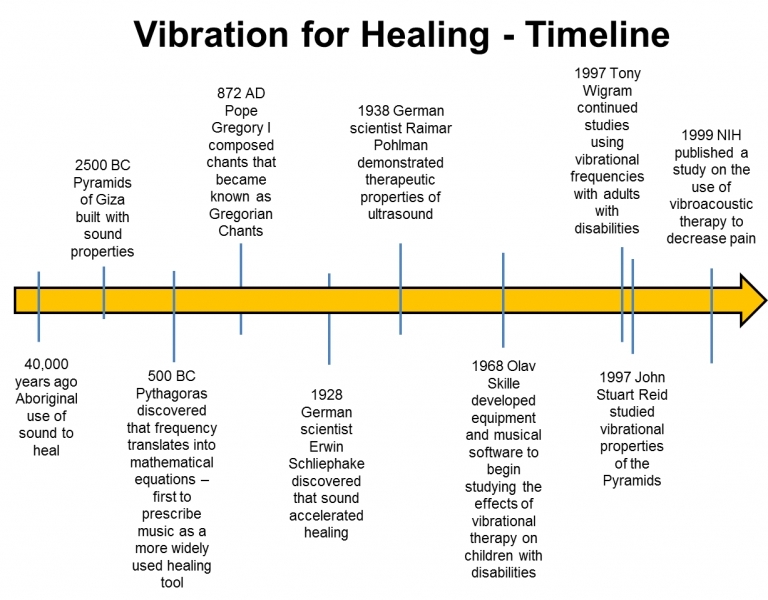 The earliest known use of a vibro-tactile method for healing comes from the Aboriginal people of Australia, who have used the didgeridoo, a wind instrument made from hollowed limbs from eucalyptus trees, for at least 40,000 years. The sound frequencies that are produced by this fascinating instrument are low and both the person playing the instrument and the person hearing it feel the vibration produced. Healers in Australia have historically used this instrument to heal illness, muscle tears and even broken bones. Auditory rhythm has also been used to affect healing going back tens of thousands of years on every continent. Many indigenous shamans around the world continue to use vibro-tactile methods for healing and balancing disease in the body. There has been much fascination, mystery, and acoustic research conducted in the Pyramids of Egypt. Much of the research has resulted in theories that have been used to discern the true purpose of the Pyramids and how they were constructed. There are many differing theories about the construction and purpose of the Pyramids but the one common linking factor is the way the structures resonate to sound. 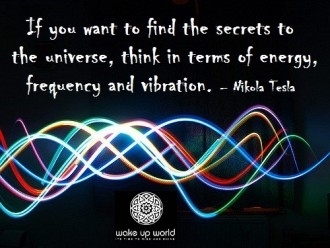 A deeper understanding has been awakened to the benefits of sound and vibration and has been fueled by the captivation of researchers working in the Pyramids. This material comes from an article on Wake Up World website. The images above are copyright wakeup-world.com You can read more here. The remaining 90% of the DNA is considered “junk DNA”, I know that many won’t agree with a term such as “Junk DNA” but let us continue. Interestingly couple of years ago, new formulas from Russian scientists, specialized in biophysics and molecular biology showed that 7 percent of our DNA has a higher purpose and is not in any way ‘junk’. According to newer studies, the human DNA is a biological internet far superior than any artificial. Russian biophysicist and molecular biologist Pjotr ​​Garjajev and his fellow scientists involved in the research exposed that, directly or indirectly, phoneme such as: clairvoyance, intuition, spontaneous and remote acts of healing, self-healing, affirmation techniques, unusual light/auras around people (namely spiritual masters), mind’s influence on weather patterns and much more. In addition, there is evidence for a whole new type of medicine in which DNA can be influenced and reprogrammed by words and frequencies without cutting out and replacing single genes. You can read more about the 6 main research points here.